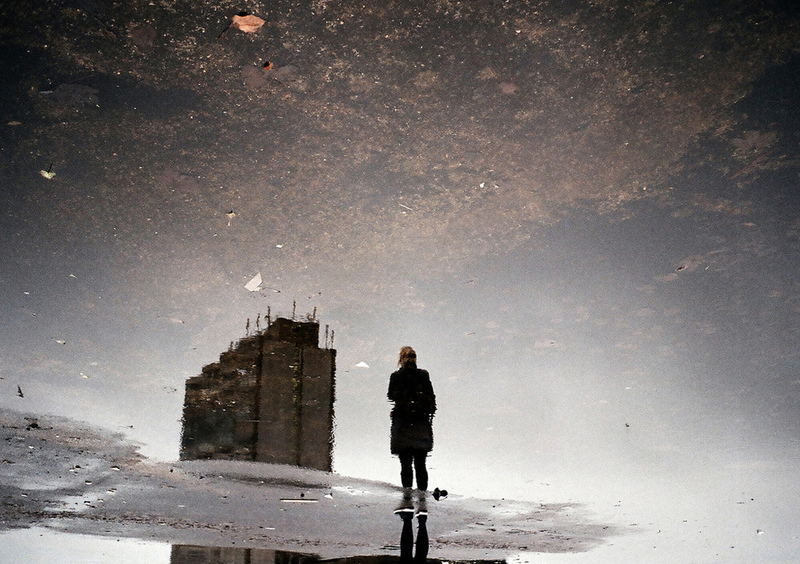 Experimental film photographer Daniel Cane explores the wet world of UK puddles. "British summer time has just begun, following the wettest winter on record in the UK. This afforded the opportunity to indulge a love of photographing big puddles. After spotting a suitable puddle, the fun is in moving about to compose a subject within the ‘frame’ of the puddle, then composing the puddle within the frame of the camera. Sometimes only when there is a finished image do you notice the surface movement in the water, the ground visible through it, and the details in the frontier where the smooth water meets the rough ground. Transposed onto a familiar subject, objects that break the surface of the water stand-out, yet will often be just a leaf or bottle top."